Details: Older visitors to this site should recognise this location as the former Parsons Green Works, once home to many a service vehicle but closed in 1985. Since then the layout of the site has remained largely intact, now occupied by a variety of companies. 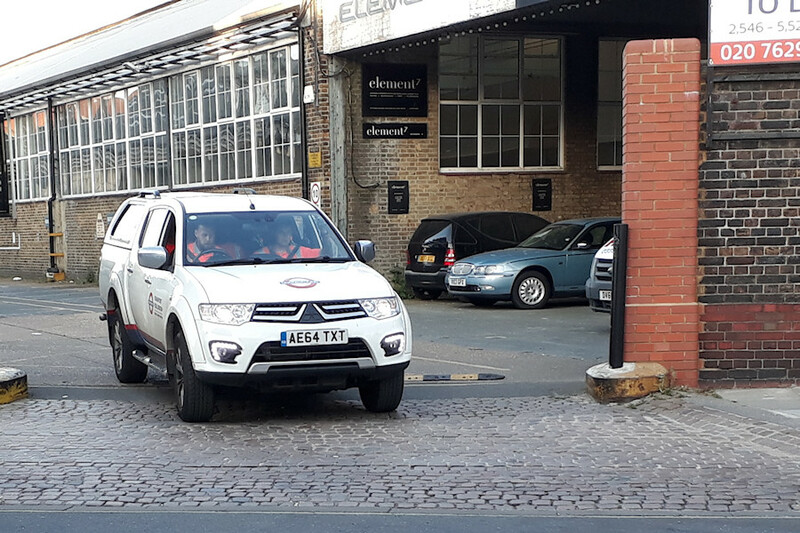 During engineering work on the nearby District Line on 19th May 2018 several service vehicles parked in the yard, and Malcolm caught Mitsubishi L200 pickup 7838 leaving in the early evening. This photo could be compared with one from 1977, and also with the superb model of the location built by Clive Greedus.